Francis Bernard Ingraham was born on 13 October 1896 in Jamestown, Chautauqua County, New York. He was known as Red. Frank A. Ingraham and Ellen A. Taylor appeared in the US federal census of 1 June 1900 in Oil City, Venango County, Pennsylvania, at 35 Main Street. Other members of the household included Francis Bernard Ingraham, Gertrude R. Ingraham. Frank A. Ingraham and Ellen A. Taylor appeared in the US federal census of 15 April 1910 in Niagara Falls, Niagara County, New York, at 1020 Michigan Avenue. Other members of the household included Francis Bernard Ingraham, Louisa Florence Ingraham. Francis Bernard Ingraham registered for the draft on 5 June 1917 in Wayne County, Michigan, while living at 522 Stotten Avenue in Detroit, and employed by the Pere Marquette Railroad. Frank A. Ingraham and Ellen A. Taylor appeared in the US federal census of 1 January 1920 in Niagara Falls, Niagara County, New York, at 1557 Willow Avenue. Other members of the household included Francis Bernard Ingraham, Louisa Florence Ingraham. He was employed as a telegraph operator by US Light & Heat Company, according to the 1920 census. The following appeared on 4 August 1925 in the Niagara Falls Gazette. He married Dorothy Edna Gorman, daughter of John Gorman and Jane Rushton, in August 1925 in Niagara Falls, Niagara County, New York. Francis Bernard Ingraham and Dorothy Edna Gorman appeared in the US federal census of 1 April 1930 in Niagara Falls, Niagara County, New York, at 2461 Linwood Avenue. Other members of the household included Raymond Eugene Ingraham. He was employed as a telegraph operator, according to the 1930 census. The following appeared on 6 January 1940 in The Niagara Falls Gazette: In Memoriam. In loving memory of our husband and father, Frank A. Ingraham, who passed away 6 years ago, Jan. 7, 1934. "May he rest in Peace." (Signed) Mrs. Ellen A. Ingraham, Frank B. Ingraham. Francis Bernard Ingraham and Dorothy Edna Gorman appeared in the US federal census of 1 April 1940 in Niagara Falls, New York, at 2461 Linwood Avenue. Other members of the household included Raymond Eugene Ingraham and Jane Rushton. He was employed as a news wire operator, according to the 1940 census. 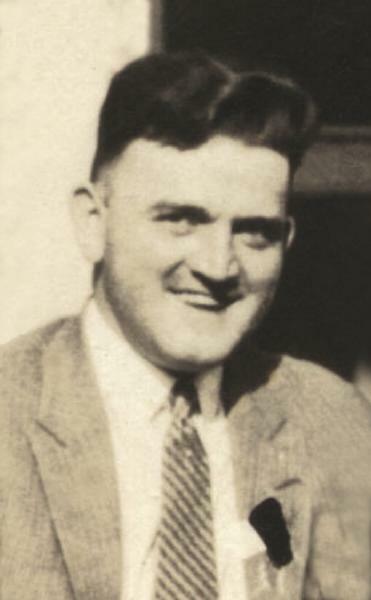 Francis Bernard Ingraham became a widower at the 1 March 1941 death of his wife Dorothy Edna Gorman. The following appeared on 1 March 1941 in The Niagara Falls Gazette: [Died] In Buffalo, N.Y., March 1, 1941, Dorothy E. Ingraham, age 42 years, wife of Frank B; mother of Raymond Eugene, daughter of Mrs. Jennie Gorman; niece of Mr and Mrs Peter M Wilson of Seventh street, this city. Funeral from the home, 2461 Linwood avenue, Tuesday afternoon at 2 o'clock, Rev. Dr. Charles Noyes Tyndell and Rev. Dr. Phillip W. Mosher officiating. Interment Memorial Park cemetery. The following appeared on 2 April 1946 in The Niagara Falls Gazette: [Died] Suddenly at the home of her son, Mr. Frank B. Ingraham, 429 Fourth street, April 1, 1946, Ellen A. Ingraham, mother of Mrs. John Wood and Mr. Frank B. Ingraham of this city and Mrs. Frank A. Shafer, of Hornell, N. Y. Sister of Mrs. A. H. Harrison of Jamestown, N. Y. and Charles Taylor of Hampton, Virginia. Funeral from the Garner Funeral Home, Weston and Eighteenth St., Thursday at 9:30 a.m. and 10 o'clock at Sacred Heart church. Interment in Gate of Heaven cemetery. Francis Bernard Ingraham died on 11 June 1971 at age 74 in Niagara Falls, Niagara County, New York, at 1234 Hyde Park Boulevard at his residence. Ruth (?) became a widow at his death. The following appeared on 11 June 1971 in the Niagara Falls Gazette: Frank B. Ingraham, 74, died today (June 11, 1971) in his home at 1234 Hyde Park Blvd. after a long illness. Born in Oil City, Pa. [sic], he lived in Niagara Falls more than 66 years. He was a teletype operator with the Chesapeake and Ohio Railroad for 23 years before retiring. Mr. Ingraham was a member of the Railroad Union and the Brotherhood of Railroad Employes. He was an active baseball player in the Industrial League. Survivors include his wife, Ruth; a son, Raymond of Niagara Falls, and two grandchildren. Services will be held at 8:45 a.m. Monday at the Otto Redanz Funeral Home and at 9:15 a.m. at Sacred Heart Church. Burial will be in Memorial Park Cemetery. The family will be present from 3 to 5 and 7 to 9 p.m. Saturday and Sunday.